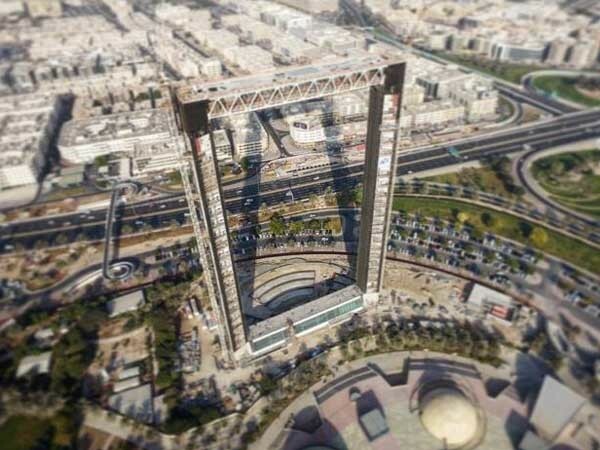 Dubai’s latest high-rise, the Dubai Frame is heading towards completion with the opening scheduled for the second half of this year. Built at a cost of $43.60 million, the 150-metre tall building symbolises Dubai’s evolution from a modest settlement to a gleaming metropolis and will offer panoramic views of the skyscraper city. However, the project also comes with a history of delays and a controversy over allegations of Intellectual Property violation by Mexican architect Fernando Donis who is now suing the Dubai municipality for breach of copyright and theft of his design for the structure. According to a report in the New York Times, Donis won an international competition in 2009 organised by elevator manufacturer ThyssenKrupp for the design of the Dubai Frame. He was subsequently shut out of the project’s execution and construction, and never received compensation for his design. Donis’ allegations of IP theft have been refuted by the Dubai government, which claimed that the architect lacked the necessary local licenses required to complete the project, and described the $100,000 prize money received by him for winning the competition as proper compensation. The latest IP controversy is just one of many for Dubai’s design and construction industry, which has previously faced scrutiny for its labour practices, treatment of migrant workers and erratic construction schedules.